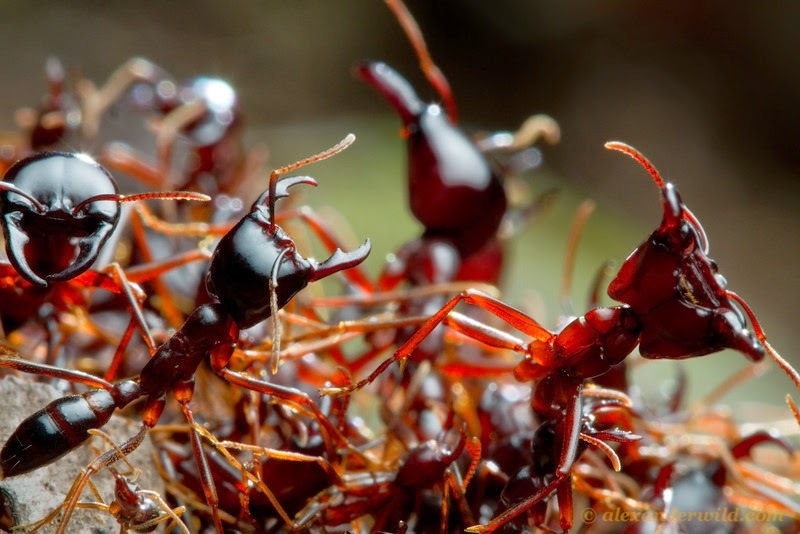 Militant siafu ants form colonies in the millions and can take over an entire house within hours. Photo by Alexander Wild, www.antweb.org. Ever wonder what it’s like to do science in the field? 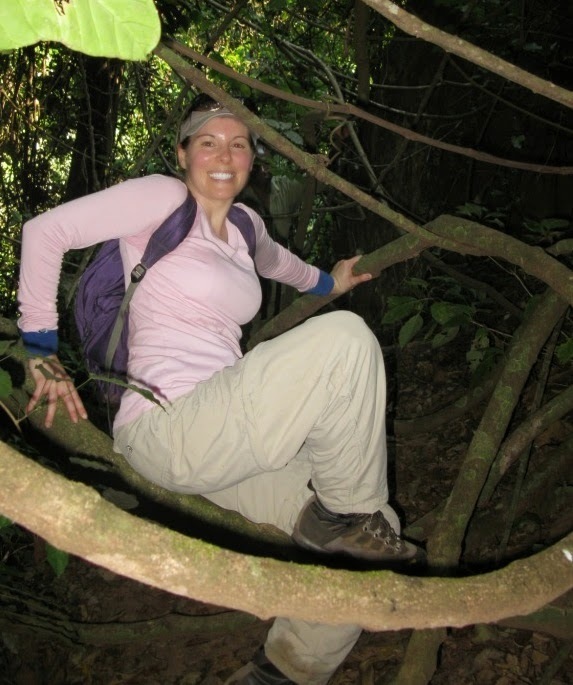 As an Emory graduate student, Michele Parsons spent three months in Tanzania’s Gombe Stream National Park to research the disease ecology of people, wild primates and livestock. Gombe is where Jane Goodall conducted her pioneering chimpanzee behavioral research, beginning in 1960, and Parsons got to meet the famed primatologist during her stay. She also came face-to-face with wild baboons that ransacked her room at the research station. But that was nothing compared to an invasion of militant ants. Below is a condensed version of the ant incident that Parsons sent to her friends and family while she was in Tanzania. 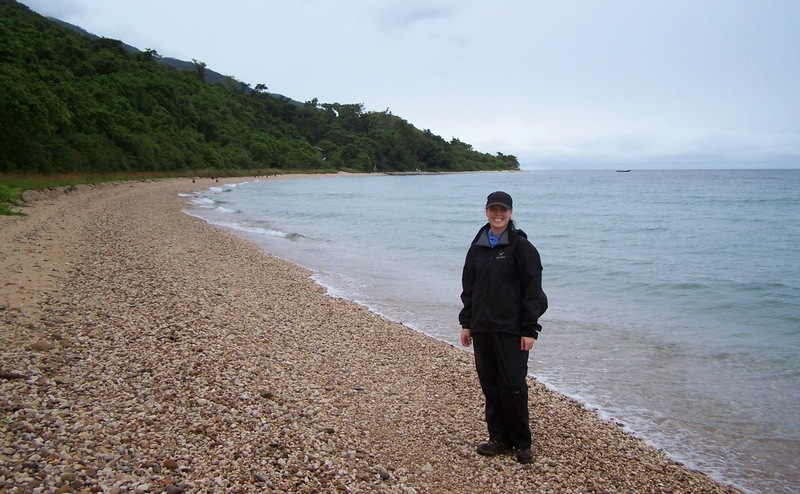 Parsons received her PhD this month from Emory’s departments of Environmental Sciences and Environmental Health. She is a research microbiologist at the Centers for Disease Control and Prevention. Sunday evening following dinner, I headed over to my side of the research station house and my little room to check on my charging GPS units, as we had plans to deploy them on livestock the following day. Satisfied that they were working, I went through my usual habit of preparing for bed, brushing my teeth and arranging my bed net. I settled in for sleep at about 10:30 pm. The final World Cup game was available for watching on an older, 10-inch TV down in the main camp (my roommate Emma had gone to watch it with others from the field team). But I knew Monday was to be a busy day, as we were launching more sampling components, and I wanted to get a good night’s sleep. Now, in most countries, ants wouldn’t raise a major alarm bell. Ants in your sandwich, on your picnic cake, in the maple syrup or on the counter top are annoying, but not a big deal. Parsons spent two six-week periods in the field at Gombe. In sub-Sahara Africa, however, ants can cause a stir. 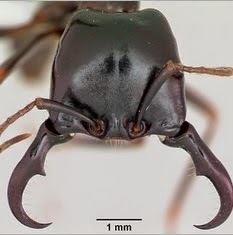 Specifically, the Dorylus genus, more commonly known as safari ants or “siafu” in Swahili. The siafu are so militant and invasive they can take over an ENTIRE house in just a few hours. I sat up and, still inside my bed net, shined my headlamp around the room. It was like a scene from a horror movie. Ants were streaming into the room, from below the door and along the walls. They were literally pouring in from the windows. Clumps of thousands of them formed these little balls that appeared to be dripping from the makeshift curtains. It was both amazing and toe-curling to witness. The space competition was over fast because Emma and I high-tailed it out of there. The siafu have a nasty sting to them if you sit around and wait for it. Their colonies number in the millions and they are by definition meat eaters: They love insects, rats and reptiles and can gobble one up quickly. The lake's rocky shore served as an emergency bed, and its waters were always handy for a bracing "shower dip." Well, it was after midnight and our departure wasn’t exactly planned, so we headed for the lake shore with what we had managed to grab before running out the door. I had my headlamp, a towel and my backpack, which held a CLIF bar, my laptop and a jacket. Two other members of the research team staying in the house joined us on the beach. The night was lit with kerosene lanterns that dotted the lake, as Tanzanian fishermen were up and working in their boats. And above us were the stars. We were far from any bustling city so there were tons of them, and shooting stars, too! I found myself looking for familiar sights – Orion’s Belt and the Big Dipper. For a moment, Atlanta didn’t seem so far away. By dawn, the siafu had begun to recede from the house so we could return to our rooms. The good thing about the siafu is they clean house. We noticed substantially fewer “insect stowaways” in the corners and under the bed. About the only thing the siafu leave behind is cobwebs. I crashed for a couple of hours. But, as I had mentioned, Monday was “a big day” so I tumbled out of bed to head to the office/lab before 7 am to meet the chimp and baboon teams and set up for the day. After breakfast, around 9:30 am, I considered taking a nap, but the baboons were playing on our roof again and the noise was deafening. Instead, I headed to the lake for a refreshing “shower dip” and that kept me going for the rest of the day. Gombe photos courtesy of Michele Parsons.